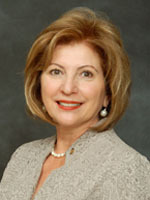 Janet Cruz of Tampa was first elected to the Florida House of Representatives on February 23, 2010. She is the House minority leader for 2017. "Florida pays our teachers $10,000 a year less than the national average." Of course, Scott touted his efforts over the last seven years to bring more jobs to the state — even cracking a joke about his passion project.